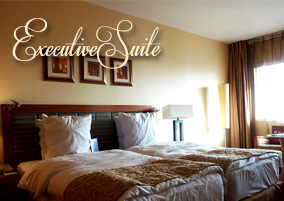 Come back from a busy day working or shopping and sink into the most comfortable bed you’ve ever encountered. Unwind as you ﬂick through the channels on the wide plasma screen television. Decide what to do next - freshen up in the truly enormous Riorina marble bathroom or call to order dinner to be served later in your suite at your convenience, with the backdrop of the New York skyline through the huge windows.